The University of Miami Miller School of Medicine Department of Otolaryngology plans to expand its research related to biological treatments and genomics-based clinical diagnosis of patients with hearing loss, using a $3 million grant from the NIH. The grant will enable principal investigator Xue Zhong Liu, M.D., Ph.D., a professor at the Miller School, and his team to add to their genomic and phenotypic deafness database for clinical care of deaf individuals. The data will be used toward identifying and characterizing novel genes for hearing loss using genomic tools. Dr. Liu’s team also plans to assess the impacts of genomic testing on patients, and conduct preclinical studies assessing gene- and cell-based therapy approaches to CRISPR/Cas9-mediated genome editing for treating hearing loss. The University of Miami Ear Institute includes the Genetic Hearing Loss Clinic, a multi-disciplinary program designed to provide diagnostic, molecular testing, genetic counseling, and intervention options for patients and family members who are dealing with hearing loss. At the Miller School, Dr. Liu is the vice chair and Marian & Walter Hotchkiss Chair in Otolaryngology, and a professor of otolaryngology, human genetics, biochemistry, and pediatrics. He is ranked in the top one percent of NIH-funded surgeon-scientists in otolaryngology. Dr. Liu's research focuses on novel disease gene targets and treatment in hearing loss. In 2013, he led an international team of researchers that identified the first gene associated with hearing loss in humans and a mouse model, P2X2. 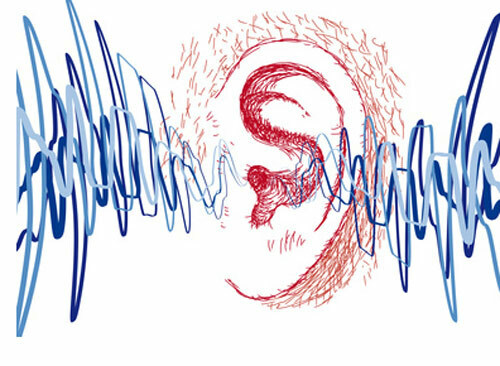 The researchers discovered that P2X2 mutation found in DFNA41 results in defects in sensory hair cells in the inner ear, which eventually lead to ongoing hearing loss. Also that year, Dr. Liu and colleagues published a review article in Genetic Testing and Molecular Biomarkers discussing the application of genomic technologies to the genetic diagnosis of hearing loss, and to the discovery of novel genes for syndromic and nonsyndromic hearing loss. The journal is published by Clinical OMICs publisher Mary Ann Liebert, Inc.